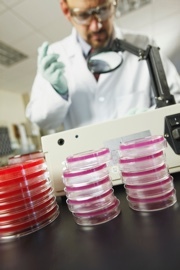 Environmental monitoring (EM) of cleanrooms is the microbiologist’s responsibility and it requires making many decisions such as how often to monitor, where to monitor, what samples to take, which culture media to use, how long to incubate, how to interpret data and which identifications to perform. The various forms of guidance available leave room for a degree of flexibility, which is sometimes helpful but often difficult. Pharmig’s recent seminar was designed to highlight the various guidance documents, look at where they conflict and highlight what to consider when designing and implementing EM. This overview offers key points from a few of the many informative presentations. 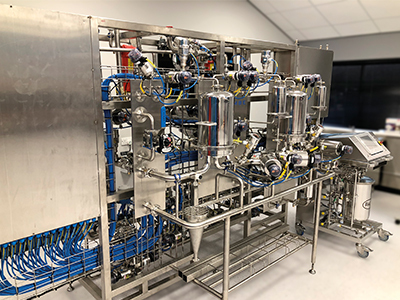 Tim Sandle, Head of Microbiology at BPL, reviewed the recently produced US Pharmacopeia chapter 1116 (USP <1116>) and considered its impact on microbiology in the pharmaceutical sector. He reminded delegates that only Pharmacopeia chapters below 1000 are required to be implemented to meet a licence, and USP <1116> is only for guidance. Sandle noted that while the chapter has introduced improvements, in places it also clashes with some European Union (EU) good manufacturing practice (GMP) guidance and there are some problematic areas, not least that the new chapter contains input from experts that is sometimes contradictory. He cross-referenced the chapter with other regulatory documents that cover EM (see panel). Sandle commented that the biocontamination control standard ISO 14698 is the document that best gives an indication of how things might go in the future but noted that this standard is not widely used, possibly because it is not cross-referenced in many regulatory documents. 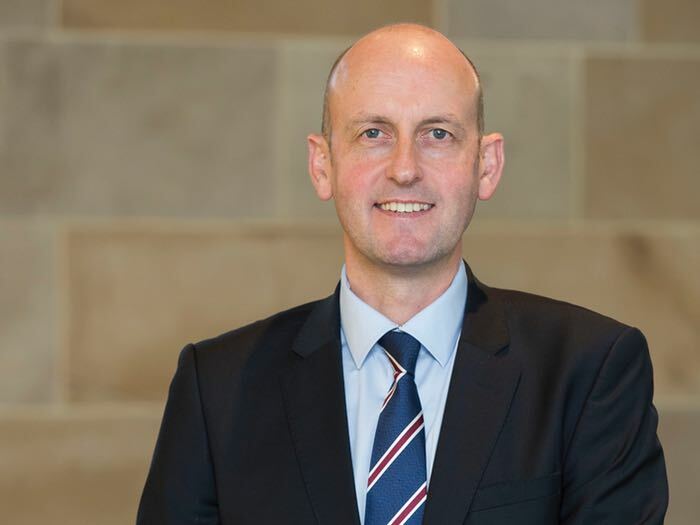 He also said some revision processes were underway and that some in the industry were pushing for a viable contamination control standard that would work in a similar way to ISO 14644. The driver for this is coming from Europe, but he said there is some resistance from the US due to concerns about the cost to business. Sandle mentioned the recent changes to ISO 14644:1-2 for cleanroom classification (revised in 2015), which introduced a different approach to determining the number of sample locations required for particle classification in the cleanroom. Whereas in the past there was a formula that had to be worked out, the new revision has a ‘look-up’ table. This change has generally increased particle counter locations, he said, and requires a risk assessment approach to determine where those counters are located. Another change is that rather than being able to use an average result based on the number of samples that pass, now each individual location has to pass. The USP <1116> revision process began back in 2005 and one major change is its scope. Whereas the previous version covered various topics, the focus of the new chapter is EM in aseptic environments, as the new title Microbiological Control and Monitoring of Aseptic Processing Environments suggests. Sandle also noted that, in place of the previous unified approach covering both sterile and non-sterile situations, now there is a ‘sterile versus non-sterile’ approach. 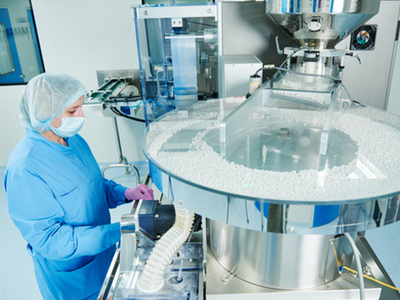 The scope of USP <1116> includes pharmaceutical sterile products, bulk sterile drug substances, sterile intermediates and excipients, while the environments covered include conventional cleanrooms with unidirectional air flow (UDAF/laminar flow), blow-fill-seal, restricted access barrier systems (RABS) and isolators. In terms of sterile products, the focus is on aseptically filled products but not those that are terminally sterilised. Sandle highlighted a positive move in the new chapter, in that it states: ‘An expectation of zero contamination at all locations during every aseptic processing operation is technically not possible and thus is unrealistic’ - something often forgotten by some regulatory inspectors, he suggested. 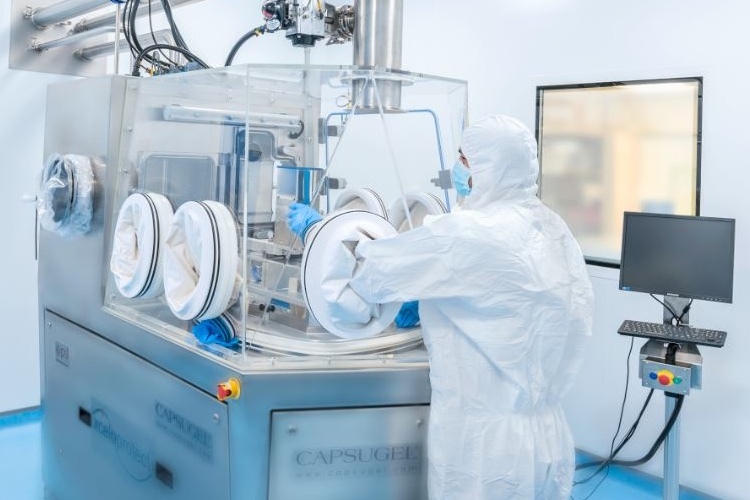 The chapter has also replaced the old US Class 100–Class 10,000 cleanroom descriptors with the ISO 14644 classifications. This does, however, give rise to a translation issue in matching up EU GMP grades against ISO 14644 classes. In general, Sandle said, ISO Class 5 is matched with EU GMP Grade A, Class 7 with EU GMP Grade B and Class 8 with EU GMP Grade C.
There is no reference in the chapter to the cleanroom state of ‘at rest’, as used in other guidance. The USP chapter refers to everything being ‘in operation’. In terms of guidance on air change (AC) rates, the conventional 20 AC/hr (s used in EU GMP has been removed and the USP <1116> recommends different air change levels for various cleanroom classes (see Table 1). The chapter makes the point that an EM programme should be constructed and executed only once airflow mapping and heating, ventilation and air conditioning (HVAC) dynamics have been optimised. It also places emphasis on particle control and viable monitoring and acknowledges that there will be occasional fluctuations in particles, particularly for UDAF within cleanrooms, and says that there will be fluctuations with isolators, so control here should be greater. In the section on viable counts, it talks about the accuracies and variations between different EM methods, and says that all EM methods are only ‘semi-quantitative’ at best. Because of this, it places a big emphasis on trending. The chapter covers the established methods of monitoring, i.e. for surfaces it talks about using swabs and contact plates; for air (room and enclosure) it looks at active air samples and settle plates; and for monitoring people, it talks about finger dabs and gown plates. It also gives useful advice about investigating trends. It discusses what to look at when noticeable trends arise, e.g. 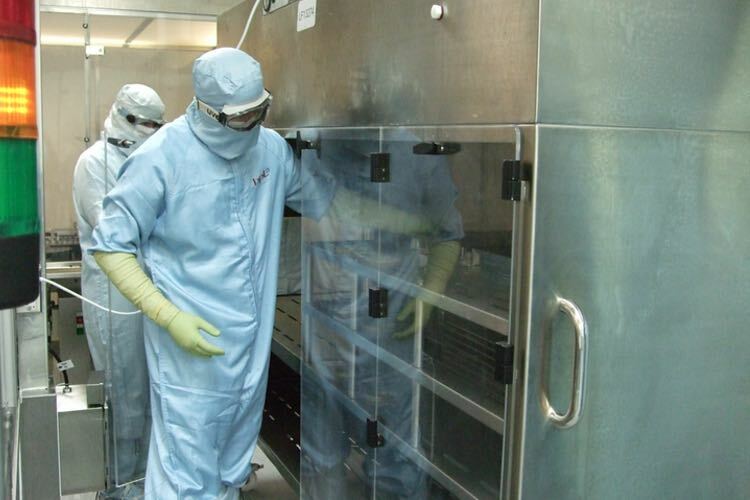 it suggests looking at HVAC maintenance, disinfectant practice, unusual events or activities in the cleanroom, physical temperature fluctuations and staff training. The chapter also recommends the use of particular growth media, e.g. Soybean Casein Digest Medium (also known as TSA), gives an incubation temperature range (20–25°C for not less than 72 hrs) and recommends Sabouraud dextrose agar as a fungal medium if required. However, it does not give details on how it comes to such decisions. It suggests certain conditions may require microaerophilic monitoring, e.g. when using certain gases or in cases of sterility test failure using anaerobic media. The chapter is particularly outspoken on settle plates, which it says are ‘indicative only’ measurements and cannot be used for quantification or even semi-quantification. This approach differs from EU GMP, said Sandle, where in Annex 1 there is an attempt to semi-quantify the settle plate by measuring colony forming units per four-hour exposure (cfu/4 hours). It also runs against past work in the industry on using settle plates for quantifying contamination deposition. USP <1116> highlights caution with EM and says that no EM programme can prove sterility. It provides a snapshot in time and can be useful and informative, but it is not a sterility check – a point reiterated by other speakers. 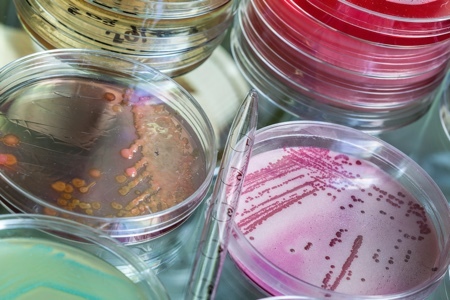 USP <1116> reminds microbiologists that all monitoring methods are flawed and that one method cannot detect all types of contamination, said Sandle. For example, it says that air samples are particularly weak, surface methods have poor recovery rates, and all methods are poor at recovering damaged or stressed micro-organisms. Therefore, numerical targets in cfu should not be used as limits, but rather as targets – and low or zero counts are not, by themselves, guarantees of microbial control. Equally, excursions beyond numerical limits do not necessarily indicate loss of control. It suggests that due to the inaccuracies of current EM methods, rather than simply counting cfu it is more important to count the incidence rates and investigate when data is out of trend. Due to the limits of quantification technology, the chapter says the lowest number of cfu that can be reported accurately is five. Therefore, it suggests that if the count is below 15cfu and the trending is OK, then it is not a concern; however, if the count is above 15cfu investigation is necessary. This is in relative conflict with current EU regulatory expectations where action would be expected for results over 4–10cfu, Sandle said. Sampling frequencies are also less rigorous than in the EU GMP, and the document says sampling locations should be based on careful observation of the cleanroom, with the most likely route for contamination being airborne. USP <1116> is strongly supportive of the use of rapid microbiological methods in EM but it does not elaborate on how these could be used. All references to validation, meanwhile, have been dropped from the chapter. In summary, Sandle said the chapter has some good points but it does clash with EU GMP in places and lacks schematic guidance, leaving much open to interpretation by the microbiologist. Finally, the contamination rate concept is a significant departure from the alert and action level system used since the 1980s. 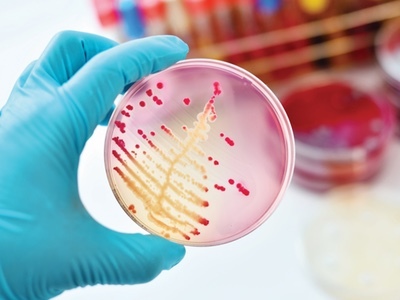 David Keen, Microbiology Manager at GlaxoSmithKline and Pharmig Chair, looked at a risk-based approach to EM and highlighted some of the traps that microbiologists and cleanroom operators can fall into. In particular, he reviewed the types of risks an EM programme should pick up, how to choose EM sampling locations and how to sort the ‘pointless’ from the ‘value adding’ locations, as well as which sampling techniques to use at which locations and EM trending. Keen reminded delegates that an EM programme is not a static thing; every time something changes in the production area – i.e. a new product is introduced or there is a change of process or use – the EM programme should be changed accordingly. ‘If the area, product or equipment has changed, it is necessary to assess whether the risk has changed,’ he said. Each change carries a different risk. The biggest risk to the process is humans, followed by water, differential pressures, production equipment and process flow. Ensure that air sampling captures the best data. Does it give a picture of the microbiology hitting the product or does it reflect the microbiology of a door left open 5m away from the products? Ensure consistency in sampling by cleaning the same amount of surface area each time. Swabs may not always give the best results but they are the easy way to sample difficult crevices and places where you can’t use contact plates. Operators want a pristine cleanroom and so will clean the sampling locations particularly well, while being less diligent in other areas. Always challenge the worst case/difficult-to-get-to locations, not simply those that can be reached easily. Consider using different media for objectionable organisms. When looking at samples and trending, it helps to understand how big or small and therefore relevant each sample is, said Keen. Choosing the right time to test is also important, i.e. before and during manufacture and after maintenence changes. ‘Choose the correct location and understand where the process/facility weak points are. For example, engineers may want to use ball valves which are mechanically reliable but they are also a good home for microbes – so not a good idea,’ he suggested. ‘When trending data, remember to check good results as well as bad,’ Keen added. ‘If they appear suddenly, it may suggest something else is at play, such as a change in media supplier where the new media is not as sensitive.’ Further, if there is a change in the type of microbes appearing investigate why. And ensure the presentation of trending data is optimised for quick and useful visual information in terms of scale and what the results actually mean. 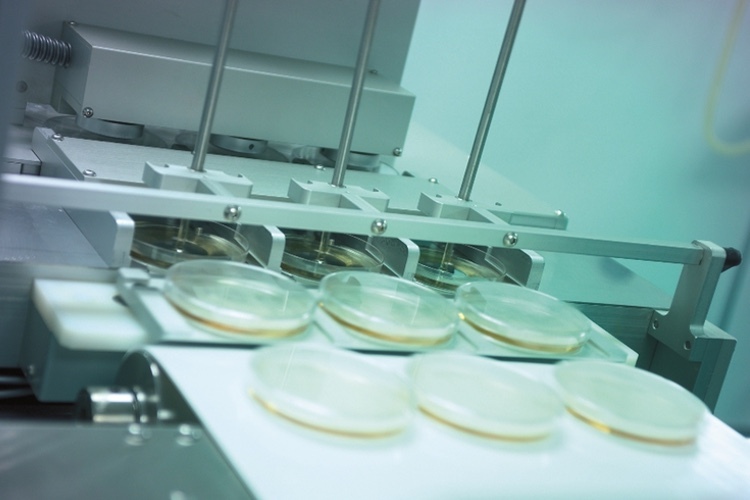 Sampling is vital to ensure a process is in compliance and that microbe protection systems/procedures are working, but it is not good at finding a problem on an isolated basis. Therefore data trending provides the bigger picture. In addition, sampling operator training is vital to ensure consistency when trending results and to avoid sampling errors. It is also important to make changes to sampling methods/locations if the data or risk assessment justifies it, Keen advised. Sandle looked at some of the problems and myths surrounding incubation and discussed topics such as which agar to choose, what is the optimal temperature and how long to incubate. He pointed out some of the limitations of EM methods. For example, in terms of choosing a culture media, 70–90% of micro-organisms in the environment are viable but non-culturable (VBNC) and there is no single culture medium that will detect all the culturable organisms. He looked at whether two different media should be used and at the pros and cons of using two media – and also at choosing the optimal fungal media. Whether there is a point at which the media ceases to be able to support slow-growing micro-organisms. Sandle looked at the question of temperature and explored the use of one medium used at two temperatures: 30–35°C, to encourage recovery of skin commensurable bacteria; and 20–25°C, designed to recover fungi. Then the question arises about the appropriate order of incubation, as starting with the higher temperatures may inhibit some organisms while working the other way round means you can get overgrowth, which can cover other organisms. He then went through some incubation order studies to illustrate these points. She too reminded delegates that EM simply gives a snapshot in time of what microbes may or may not be in the facility. In a non-sterile environment this snapshot may be taken once a week, once a fortnight, or once a month. In terms of air sampling, it is only a tiny fraction of the total air throughput in a cleanroom, thus trending is very important, she said. ‘EM is a bit like fishing. You can sit on the lake all day looking for some fish and not catch the big one that is swimming around,’ she added. 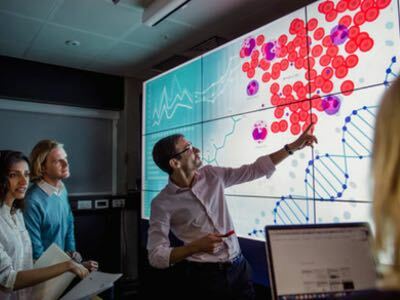 Risk assessment enables the microbiologist to make better decisions about where to look and how to find out what is there – but there is still no guarantee of success. EM does find microbes, however, and after incubation decisions need to be made about which colonies on the plates to identify and investigate. ‘Should you look at every single colony on a single plate or decide that some look the same so investigate each one that looks different?’ Roberts queried. Each decision will be different for each facility and situation, she suggested. Roberts then went on to look at various ID methods. These could be based on visual inspection through experience, but this is not ideal when it comes to convincing inspectors. A photographic library can be compiled – these are relatively cheap to produce and commonly used in Asia. The photographs need to be good quality and clearly indicate the colony with face-on and side views; they should describe the morphology, the structure and list all the relevant criteria. Those labs with larger budgets may be able to purchase one of many instruments that enable species identification phenotypically or genotypcially. All these ID methods (visual, photographic, phenotypic or genotypic) can be acceptable providing they are well rationalised and justified by the company. 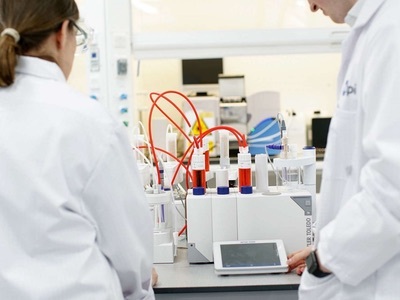 Those working in non-sterile processes are unlikley to require PCR type IDs, whereas those undertaking sterile filling operations will require the ability to routinely speciate organisms and conduct PCR type IDs if sterility failures or media fill failures occur,’ she said. Roberts then discussed EMPQ procedures. When moving walls or putting in new equipment or a new filling line, the area needs to be re-qualifiedd. The first step is to go through the EM risk assessment and work out where the samples are best located; then look to see how the microflora of that area has changed; also work out which of the plates are going to be investigated. Several days of EM are required after initial cleaning to show that the facility has been adequately cleaned and to show that the environment is no longer dirty. Then look at what types of bacteria are present and what the background level is. The latter can vary in different regions of the world: ‘In the UK where, typically, shoes and socks are worn on the journey into work and staff shower daily at home, we see a different flora in the cleanroom compared with India where the operators would walk to work in open-toed sandals. EMPQ is carried out to understand what is typical for a facility so that on moving into routine production, you will understand atypical flora,’ Roberts said. This event offered much to think about and the latest guidance documents serve, if nothing else, to remind microbiologists of the limitations of EM methods and how to maximise their effectiveness. But many decisions are left to the microbiologist who must make the best judgements based on each facility and situation. 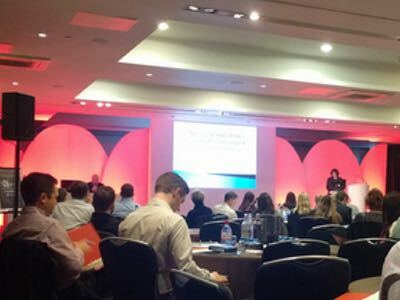 For information about future Pharmig events visit www.pharmig.org.